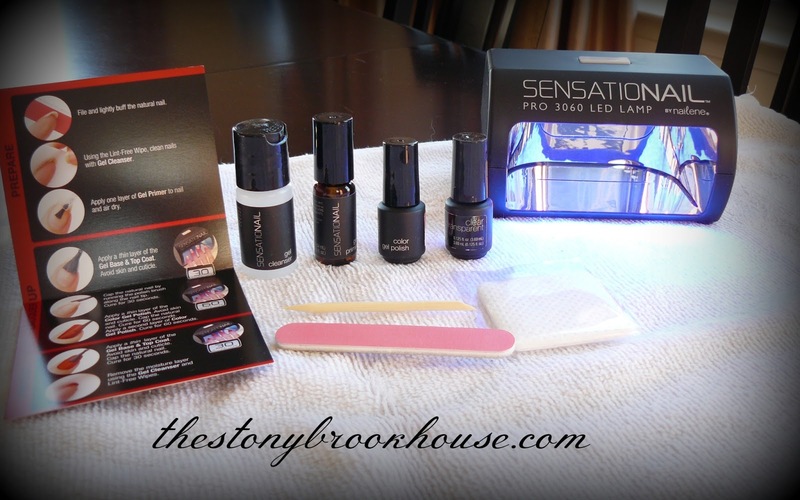 Have you seen those at home gel nail kits? Well, I've been eyeing them for awhile. A friend of mine had her nails done at the salon, and she loved them. It wasn't cheap at $30 a pop. Knowing that I'm leaving on a cruise in 3 DAYS!!! with them for the trip. So, I went out and bought this kit. It was about $50, but it should do 10 manicures!! Do the math...$5 per manicure! Now you're talking! but I don't like the fact that they chip within ONE day! 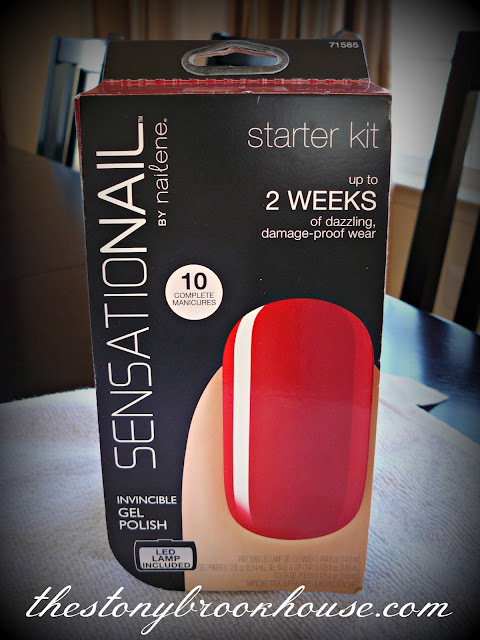 Now, read where it says up to 2 weeks of "dazzling, damage-proof wear". By the time I get back it will have been 10 days. The kit is pretty easy and self explanatory. A nice card, that explains each step. Ready, get set, let's go! 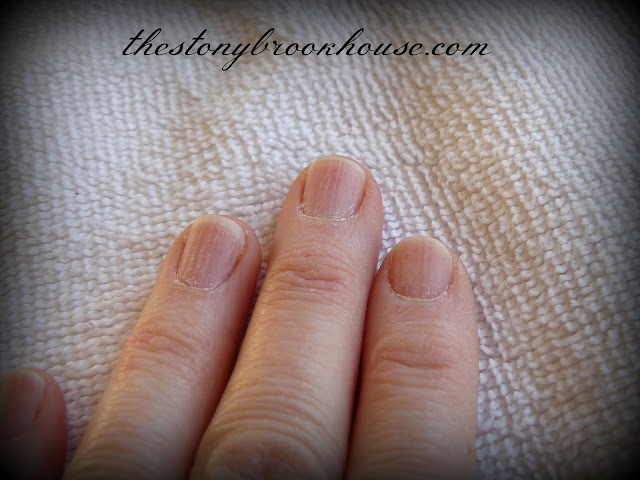 Start by pushing your cuticles back, and buffing the top of your nails. Done. Ack! My nails are ugly! It's all that work at the apartments and subbing at the high school. After buffing, you need to wipe them down with the lint free wipes and nail cleanser to get all the oils and stuff off. Next, apply a thin coat of primer. before I did the rest of my nails. Then paint a thin coat of the basecoat. Cool, right?? My nails are glow in the dark! The lamp beeps at 30 seconds then turns off at 60 seconds. Very easy. So, I pulled them out at 30 seconds. Then I painted a thin coat of polish. Then repeat the polish, and cure again for 60 seconds. If you can paint your nails, you can do this. It's really easy. Of course, painting with the left hand is always a challenge, but it came out good! the base/top coat or polish on your skin or cuticles. Well, I'm sure I did. We'll see how it affects it. Last part, is to seal it with a top coat and cure for 30 seconds. After that last 30 seconds, your nails are hard and DONE! The last thing is to wipe them down once again with the cleanser. You can touch them, bang them, type, whatever! They are so shiny. They don't even look too bad being short. I soooo hope they hold up!! Cruise leaves on Sunday and we'll be soaking up the sun for 7 glorious days! We are celebrating our 25th Wedding Anniversary! Yay! Can't wait! 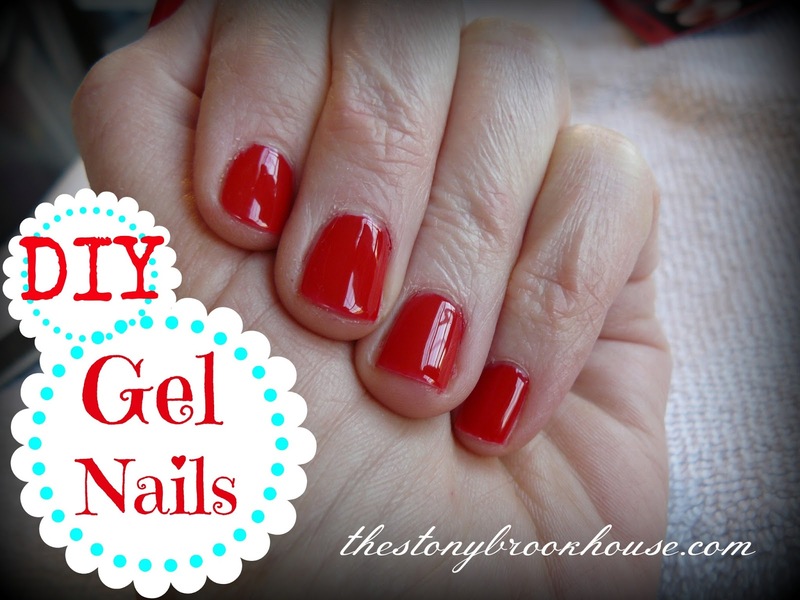 So, have any of you tried this Do-It-Yourself gel nail kit? Great job! Looks nice. Let me know how they hold up because I have been thinking about this too. Working with kids I never paint my nails because they don't stay nice for long. Hope it works! Have fun on your trip! Hi Natalie! Thanks for the sweet comment! They are holding up great! I'm on day 12 and no chips at all! I'm interesting in seeing your results. Have fun on the cruise! Hi! Thanks for stopping by! 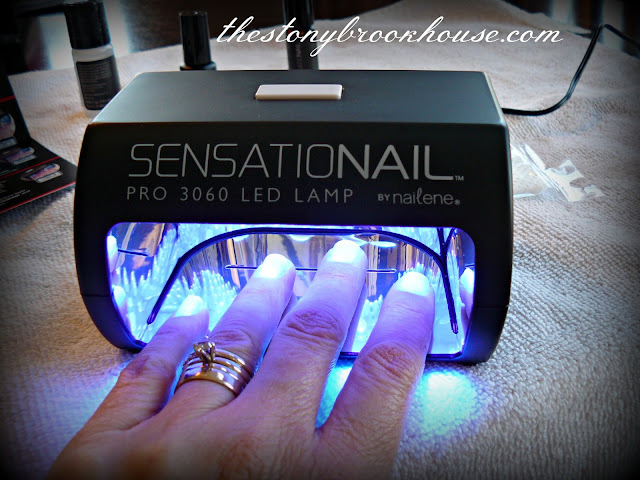 The cruise was fun and the nails are holding up terrific! Love them! My MIL paid to have hers professionally done and loved them until it was time to remove the polish. This home kit looks tempting since I never paint my finger nails because they start to chip off in a day. I hope you had a wonderful time on your cruise! Hi Bonny! I didn't think it was too bad to remove the polish, definitely more time involved, but they stay on so much longer. I felt it was worth it. My nails are stronger, and longer and prettier. Btw... we had an awesome time! Thanks so much for stopping by! Blessings! Awesome. 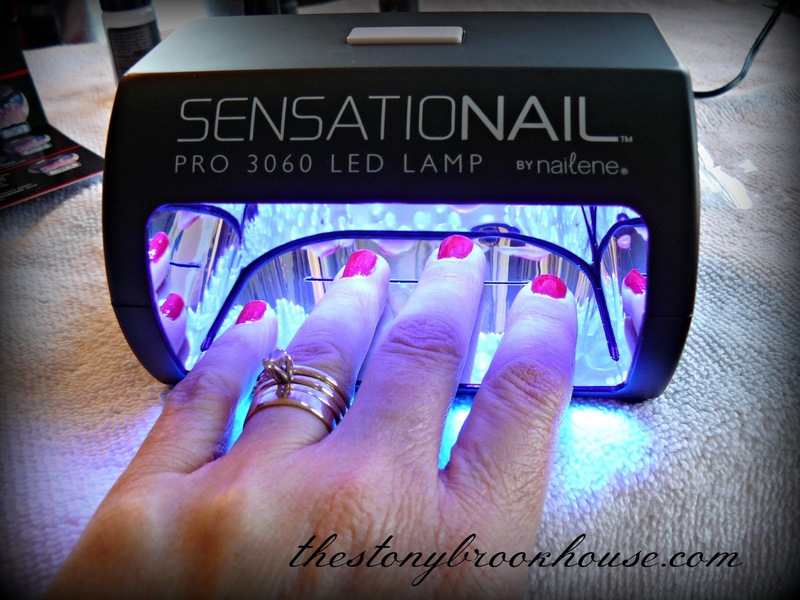 I have heard of gel nails but thought I would need to go to a salon and I, too, am too cheap for that. So yay, a home kit. Great tutorial. Where did you buy your kit? (blpajohnston@msn.com) Thanks. Hi Lori! Thanks for the kudos! I got my kit at the local Walmart. It's definitely getting easier to do.